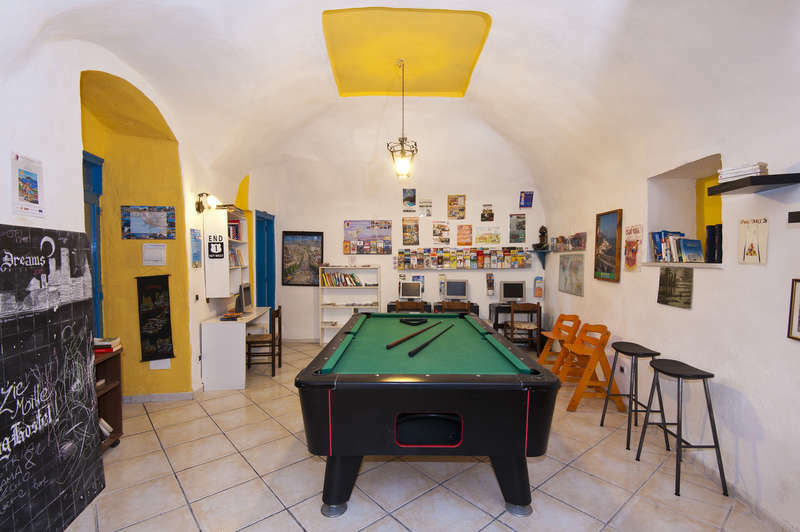 Ring Hostel is located in the historical center of Forio, 5 minute walk from shops and bars. 10 minute walk to beach. 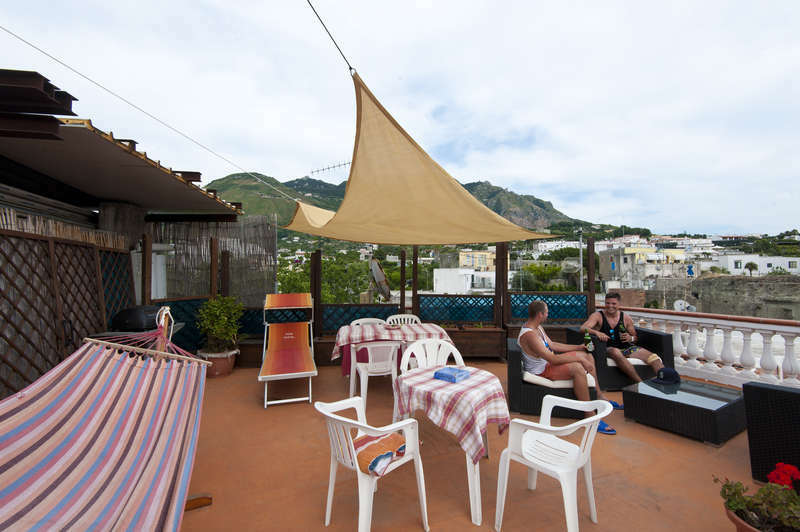 Relax in good company while the Colella Family shows you the best parts of the island! Both dorms and private rooms. Breakfast included, terrace views & special events organized. Booze Cruises, Hiking, etc.. If you arrive in Forio Port, (with the port behind you) cross the road to where the Captain Morgan ferry ticket office is. To the left of the ticket office is Via Cesare Calise - follow this road up until you reach a small piazza with a couple of shops and restaurants (La Strambata being one of them). Continue up the road until you reach a 4way intersection (you should see a shoe shop on the corner), carry on straight up the road (Via Roma), you will pass a clothing shop on your right and further up, a florist on your left. 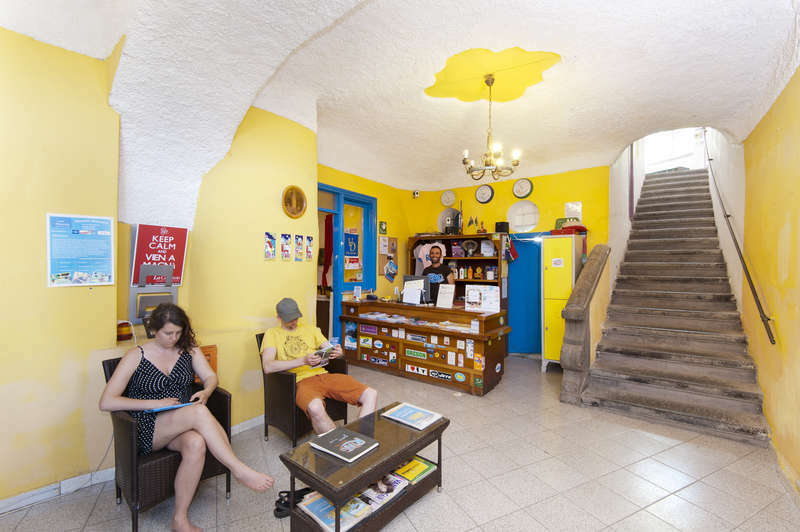 Ahead you should see a multipurpose store and when you approach, to the left of the shop on the wall you will see a blue Ring Hostel sign - this is Via Gaetano Morgera - follow this road all the way up until you see the yellowish building with our signage on the wall....you have arrived!